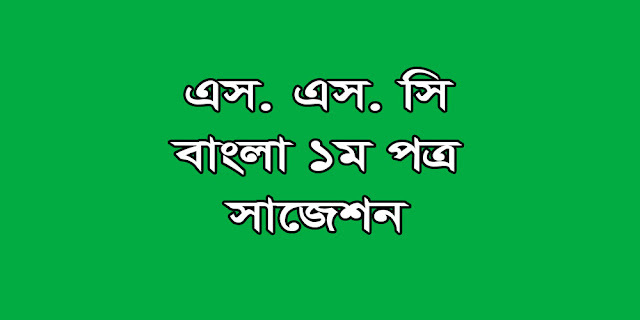 Are you an SSC candidate and anxious for your Bangla 1st paper exam? 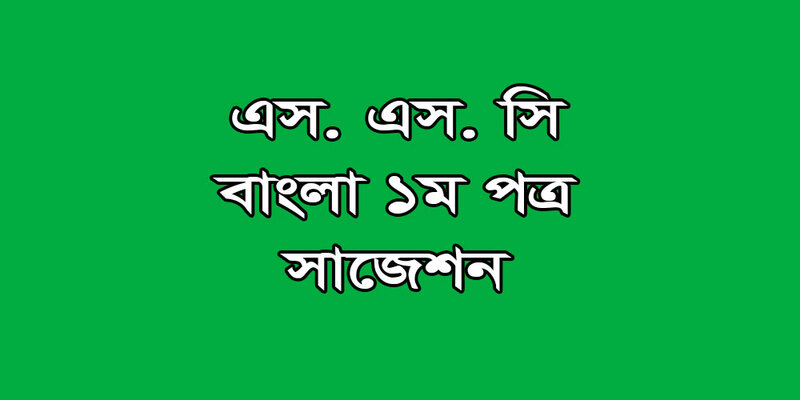 Also, do you need ssc bangla 1st paper question 2020 with common ssc exam suggestion? 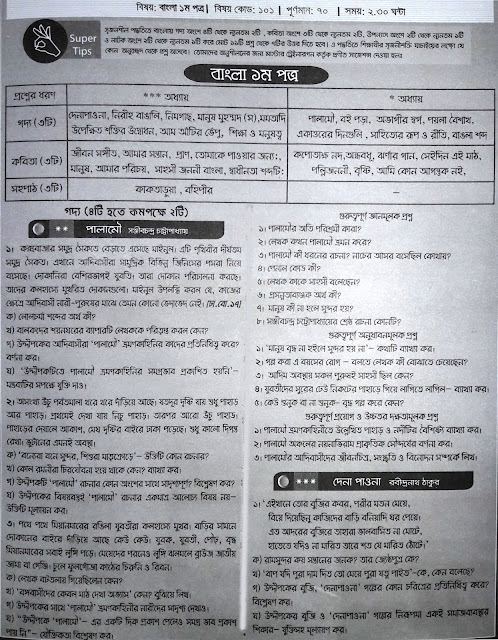 Really Bangla is too critical subject to score a good mark in the ssc new syllabus 2020 pdf. But don’t worry; we are always here to help you. We will provide you with the best suggestion for your Bangla 1st paper exam that will help you a lvjnot to cut a good figure in the paper. 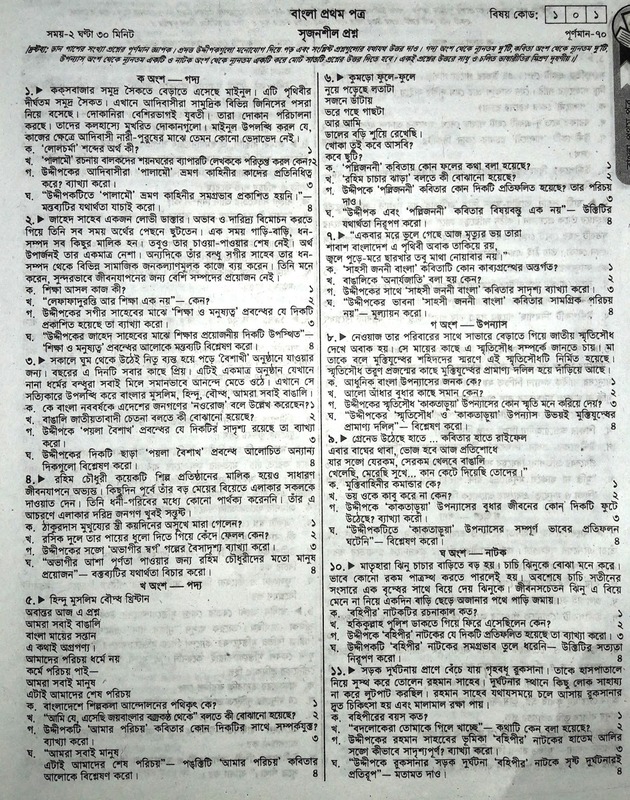 Ours is an important, strategic and short suggestion applicable for all general education board - Dhaka Board, Cumilla Board, Jashore Board, Dinajpur Board, Chittagong Board, Sylhet Board, Rajshahi Board and Barishal Board. You will get your maximum questions common from here. So, this is high time you downloaded the suggestion and started to be prepared for the exam. It is suitable for all the students of any group Science, Humanity or Business Studies. Download all Subjects Suggestion. 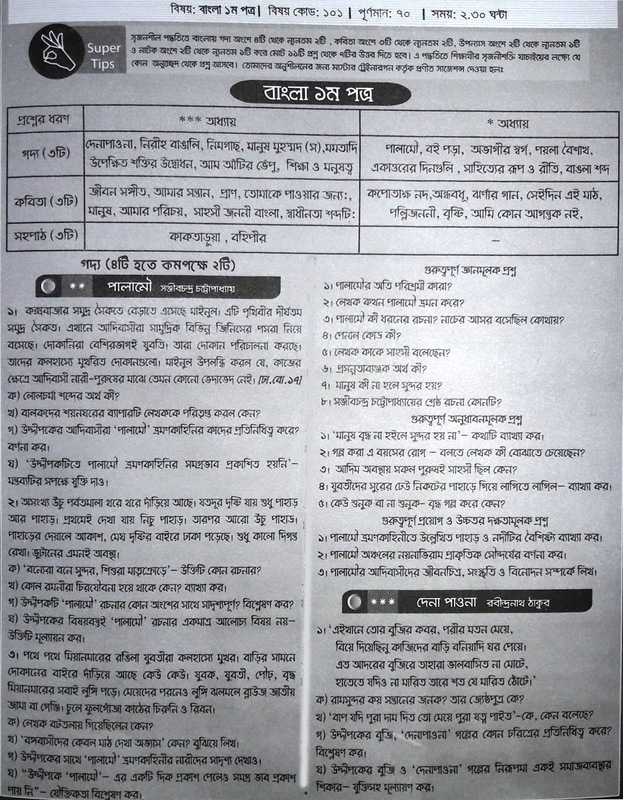 Here in our site you will also get the syllabus, question pattern of this year as well as the previous years’ questions and a very short suggestion including some exclusive tips for your SSC Bangla 1st Paper exam. A proper guideline before any exam is all that a student needs. So, follow our instructions deeply. Don’t just look at the suggestion as a bird’s eye view, be prepared for your exam and cut an amazing figure in your papers. Best of luck. Why following Bangla 1st Paper Suggestion? A proper knowledge of the syllabus question pattern and marks distribution is very important to take a good preparation. So, analyze the question pattern and marks distribution carefully for your Bangla 1st paper exam. It will help you to arrange your answers within your time in the exam hall also. You may visit the education board website to get the question patterns and marks distribution or you may also download it here from our website easily with a single click. So, why being late? Just download it and prepare for your exam. If you are from business/commerce group, I do believe you would like SSC Accounting Suggestion, SSC Business Entrepreneurship Suggestion and SSC Finance Suggestion. 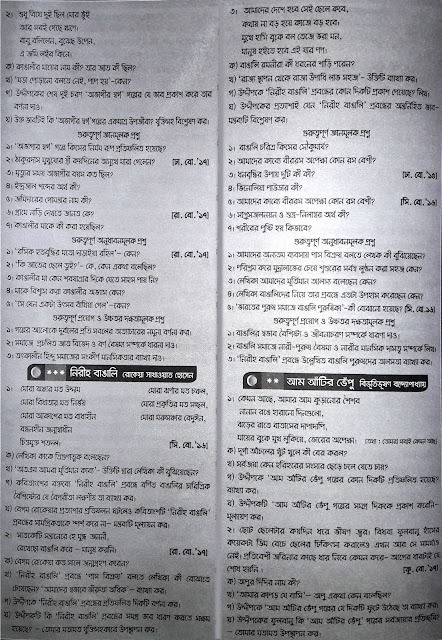 As you know the syllabus changes year after year in our education Boards of Bangladesh, You must know the exact marks distribution for your upcoming exam. Your Bangla 1st Paper exam will be held on a full 100 marks. You will find two portions here – one is the mcq part and the other is for creative writing. There is no practical part for the paper. Your MCQ part will contain 40 mcq questions for 40 marks (1 mark each) with no negative marking. There will be no option for your choice of question here. You will have to answer all the questions. On the other hand, your creative writing part is for 60 marks for any 6 creative questions out of 9. Each creative question will hold 10 marks. If you are from Arts/Humanities group, you may download the suggestions of SSC History of Bangladesh & World Civilization, SSC Bangladesh & Global Studies, SSC Civics, SSC Economics, SSC Geography & Environment. As there will be no option for choice of questions in the mcq part, you should be careful with the preparation for MCQ part. You must read through the whole books to get 100% common. While reading through the book, highlight the important lines, formulas etc. It will help you for the 2nd reading. If you follow the previous years’ question, you will get a sharp idea of the important questions for mcq part. These questions are often repeated. So, try to solve all the MCQ question papers of previous years of all boards. You will a lot of questions common from here. Nowadays it has become a fashion for the students to look for pdf file of e book in the internet. But it will never help you more than your original text book. Rather it will be proved harmful for your eyes and brain if you study your ebook long time. So, don’t waste your time searching and reading these ebook for your SSC exam. Your own printed text book is always more reliable than these ebooks for your exam. It will save both your time and energy. Okay, you must have a clear idea about what a final suggestion actually means. Final suggestion doesn’t in fact mean that you generally understand it to be the questions that will definitely come in the exam. Rather it means the final touch up of your preparation. Question may come outside the final suggestion also. So, don’t be a fool by following the final suggestion only. If you do so you will have a bad score in your exam. You must study your whole syllabus first and then you may follow the final suggestion to take a preparation within the short time for your exam. In our country it has become a great problem nowadays that questions of Board examinations are being leaked randomly. It is really very shameful and heart touching for us. Students and Guardians should be alert for it. You must remember that self help is always the best help. If you hanker after leaked question you will certainly suffer in the long run. So, never do this mistake. Take your own preparation and it will really be beneficial for you always. 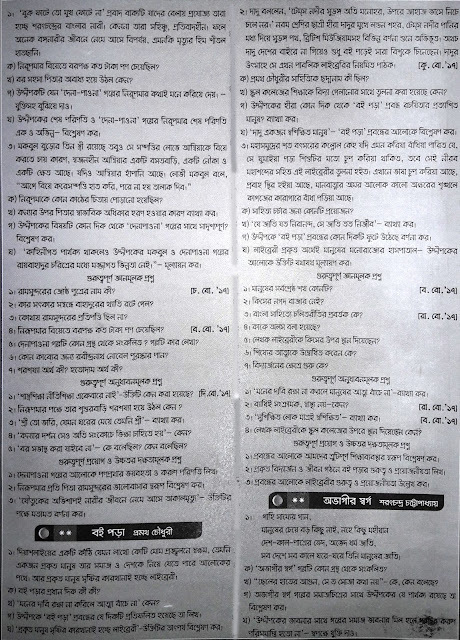 So, download the suggestions from our website, follow all of our instructions deeply and be prepared for your Bangla 1st Paper exam. There is nothing to worry. Your strategy and preparation will certainly gift you an amazing result that you are expecting. Best of luck.